Speaker 2018 - MARTIN L. PALL, Ph.D.
MARTIN L. PALL, Ph.D. has a B.A. degree in Physics, Johns Hopkins University, Phi Beta Kappa with Honors, 1962; graduated with 180 semester hours of credit in 4 years. Ph.D. degree in Biochemistry and Genetics, Caltech, 1968. Asst. Prof. Reed College, 1967-72. Asst., Assoc., and Full Professor, Genetics and Cell Biology and Biochemistry/Biophysics, later Professor of Biochemistry and Basic Medical Sciences, Washington State University, 1972-2008. 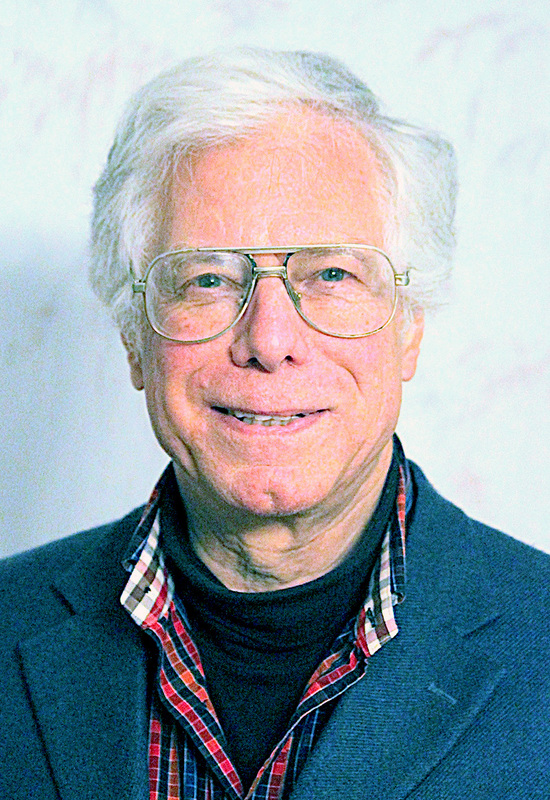 Professor Emeritus of Biochemistry and Basic Medical Sciences, Washington State University, 2008. Received 9 international honors for research in Environmental Medicine. Author of 102 professional publications. Research since 1998 focused on mechanisms of chronic disease; oxidative/nitrosative stress; inflammation, mitochondrial dysfunction, other mechanisms; environmental stressors causing chronic disease; regulatory systems acting to prevent chronic disease; chemicals acting to trigger chronic disease via excessive NMDA activity; mechanism of action of electromagnetic fields (EMFs) via activation of voltage-gated calcium channels (VGCCs). Pall has 8 publications on the EMF VGGC mechanism. The first of these, published in 2013 was placed on the Global Medical Discovery Website as one of the most important medical papers of 2013. It has been cited 180 times (as of August 2018). These 8 papers collectively show that: 1. Most non-thermal microwave frequency EMF effects are produced by EMF activation of the VGCCs. 2. A large number of effects are produced by such EMF exposures including: Many reproductive effects; many neurological/neuropsychiatric effects; attacks on the DNA of our cells; oxidative stress/free radical damage; increased apoptotic cell death; widespread endocrine (hormonal) effects; excessive intracellular calcium and cancer. 3. Each of these effects and in addition six other probable effects can be explained as being due to VGCC activation. In my 2018 cancer. 4. In my 2018 EMF-cancer paper, I discussed 15 distinct mechanisms by which VGCC activation causes cancer initiation, promotion and progression. 5. I have extraordinary concerns about 5G which are impossible to outline, so I will not try to outline them here. He will speak on EMF Health Effects, How EMF’s Impact Our Bodies, Cancer & All About 5G.